Google plans to marry Frommer's with the Zagat listings it acquired last year. Google's march into the local listings and travel business continues with a new conquest: The company has purchased the Frommer's travel guidebooks brand. Frommer's owner John Wiley & Sons (JWA) made the announcement in a short press release early Monday, which did not disclose the financial terms of the deal. Wiley said in March that it was trying to sell off several of its publishing assets to re-focus the company. 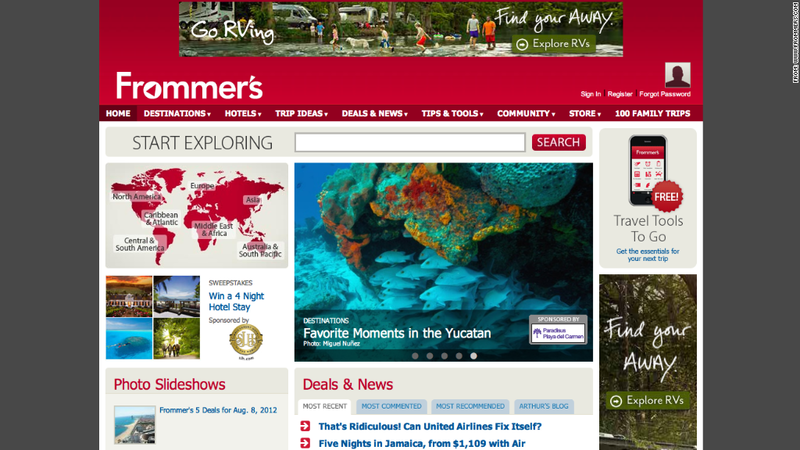 The Frommer's buy is the latest in Google's (GOOG) ongoing move to strengthen its travel and local search offerings. About a year ago, Google bought reviews behemoth Zagat for an undisclosed amount. Five days later, the company launched Google Flight Search. Google declined to comment on the financial terms of the Frommer's deal, but it offered a few hints about its plans for the Frommer's team and assets. "We can't wait to start working with them on our goal to provide a review for every relevant place in the world," a Google representative said, adding that the Frommer's staff "will be a great addition to the Zagat team." Selling to Google probably scored a nice windfall for the 205-year-old Wiley's, which is still trying to sell several of its publishing businesses -- including Webster's New World dictionary and the slacker Bible CliffsNotes. Wiley said it will use the money from the Google deal to invest in the publishing sectors it plans to keep: its professional, scientific and education businesses. The deal was bad news for other local and travel sites. Shares of local reviews site Yelp (YELP) and travel reviews/planning site TripAdvisor (TRIP) were off nearly 6% immediately following the announcement.